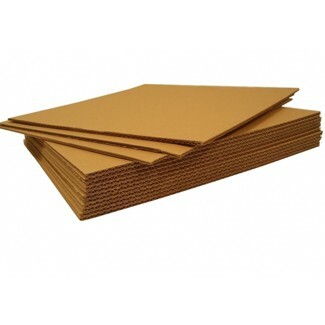 Corrugated layer pads are single wall cardboard sheets ideal for providing protection to boxed and palletised goods. They are a must have for those working within an industrial environment where there is a constant flow of goods being shipped out. The corrugated layer pads come in A3 and A4 to ensure that they are suited to different packaging needs. The sheets offer protection by acting as a barrier between the box and the products inside. Our corrugated layer pads are made to the highest of standards. They are sturdy and robust and can withstand everyday wear and tear. They are also completely recyclable making sure that they are environmentally friendly.